OUR NEW RANGE OF CARING MICELLAR PRODUCTS PROVIDE YOU WITH THE PERFECT ALLY TO YOUR DAILY FACE CLEANSING ROUTINE. REMOVE MAKE-UP WITH A CARING FORMULA THAT LEAVES NO RESIDUES. REMOVE MAKE-UP, CLEANSE AND MOISTURISE IN ONE SINGLE STEP. A regular facial cleansing routine helps to remove grime, germs, and make-up residue to prevent pores from clogging. With our fast-paced lives however, it is easy to lose sight of how important effective face cleansing is. Learn how to make your face routine faster and more convenient with Micellar Cleansing Water and Micellar Cleansing Wipes. Only one step to beautiful & healthy skin: with new NIVEA Caring Micellar Water an easy and gentle way of cleansing effectively, moisturizing the skin, and retaining its natural beauty is offered. 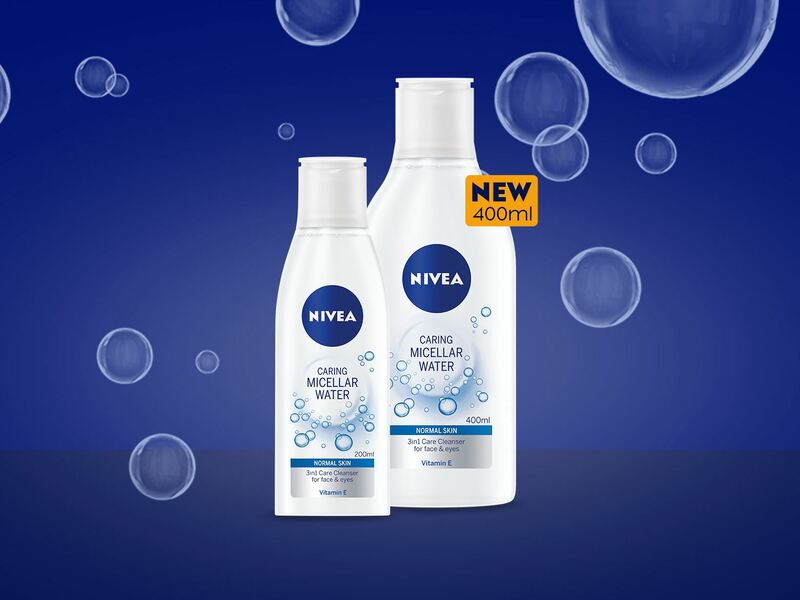 And you can get even more now: NIVEA Caring Micellar Water is now available in a 400ml bottle. A regular face routine helps to remove grime, germs, and make-up residue to prevent pores from clogging. With our fast-paced lives however, it is easy to lose sight of how important effective face cleansing is. Learn how to make your face routine faster and more convenient with Micellar Cleansing Water and Micellar Cleansing Wipes. Micelles act like magnets to remove dirt, make-up, and other impurities. We tell you how the simple science behind these molecules works in the NIVEA Caring Micellar products. 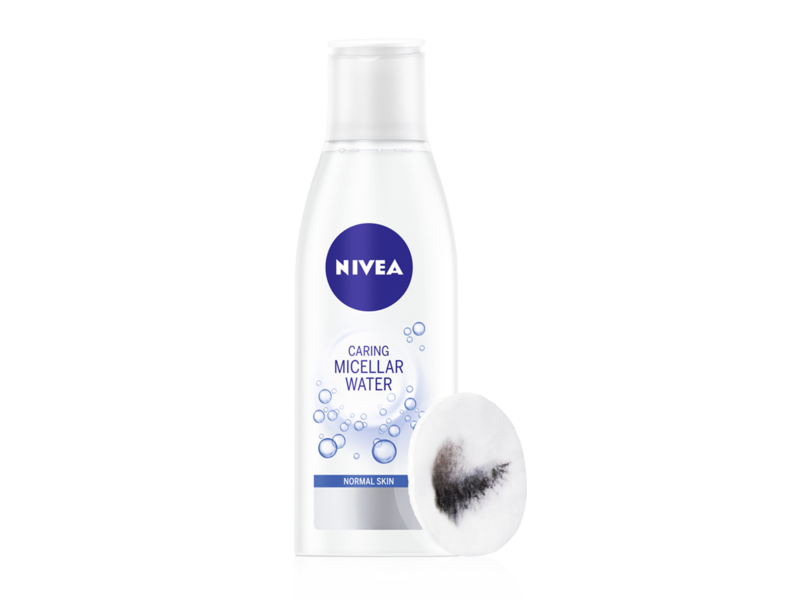 NIVEA Gentle Caring Micellar Water cleanses and tones by a simple swipe with a cotton pad. Micellar water is on every beauty expert’s lips. But do you know how it works? Micelles are very small molecules that can remove both water-soluble as well as fat-soluble dirt. Discover more about this special ingredient in the Caring Micellar Water products and how they work to give a caring yet effective make-up removal experience. NIVEA Micellar Wipes are effective but very gentle, with a subtle NIVEA cleansing scent. HOW DO MICELLAR WIPES WORK? Micellar face wipes use a formula adapted from NIVEA Caring Micellar Water with Vitamin E. They strike the optimal balance between cleansing performance and gentleness. Find out more on how Micellar wipes are different from normal wipes and how they provide refreshing, moisturising care in one sweep. Micellar Water is a face cleanser much loved for its versatility. Instead of juggling many products, each product in the Caring Micellar range is face cleansing all-in-one. It gives you the advantage of saving time while treating your face to the gentle care it needs. 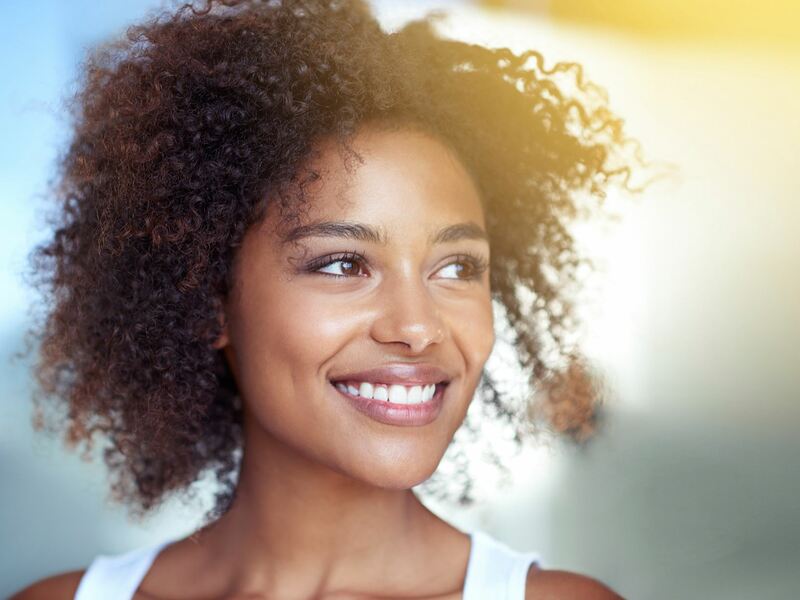 Find out why the Caring Micellar products are the welcome addition to your skin care routine that you've been waiting for. With the Caring Micellar range, removing make-up is no longer difficult or time-consuming - meaning you are less likely to skip the process. Remove waterproof eye make-up and intensively cleanse your skin, all without the need for rinsing or rubbing. 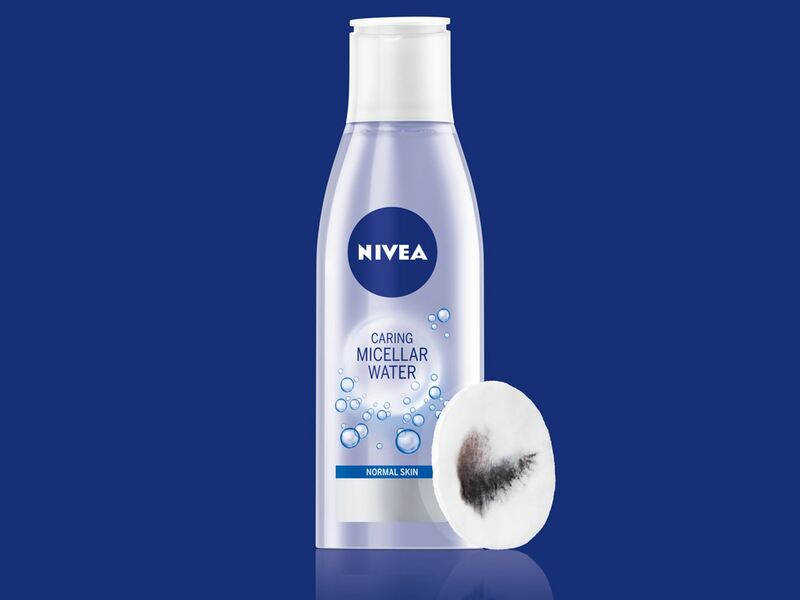 Learn how the NIVEA Caring Micellar products allow you to remove make-up without the mess! Χρησιμοποιείτε έναν περιηγητή ή μία έκδοσή του που δεν υποστηρίζεται. Ενημερώσετε τον περιηγητή σας ή δοκιμάστε έναν από τους παρακάτω για την καλύτερη δυνατή περιήγηση στο site της NIVEA.